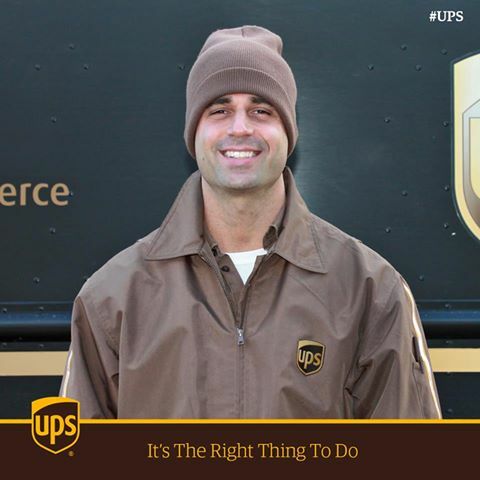 Mike Rianna, a UPS package driver, has seen a lot in his 17 years on the job. 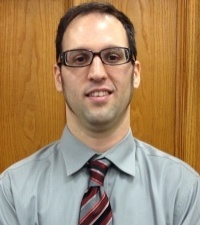 But nothing compares to the day last December when his actions saved a customer’s life. Rianna stopped at a house where he usually leaves packages at the front door. But it was freezing cold, so when he saw the garage door was open he looked inside to deliver the package directly to the customer. Instead, Mike Rianna found a woman lying motionless on the ground. While his helper called 911, Rianna was able to get her to come to, enough to help her inside the house and out of the cold. Inside, the woman began to convulse with a seizure. Mike and his helper waited with her until the paramedics arrived. Teamsters Local 251 is continuing its sale of the fleet of cars used by the old administration and putting the funds to work for the membership. We are selling the cars off through a sealed bid auction. Members can submit bids for the cars and sealed bids will be opened at the Sunday, May 31 monthly meeting. Click here to get more details on the cars up for bid and bidding process. United to the end, Teamster members have voted to approve our new contract at Rhode Island Hospital by a 97 percent margin. Members voted 562 Yes to 17 No to ratify a contract that delivers job security and $19 million in wages and benefits. This contract victory belongs to the members who united for a fair contract. We did more than win a better contract. We’ve built a stronger union and forged new alliances with community groups, other unions and public allies. We have found our voice and we will keep using it to speak out for good jobs and quality care. 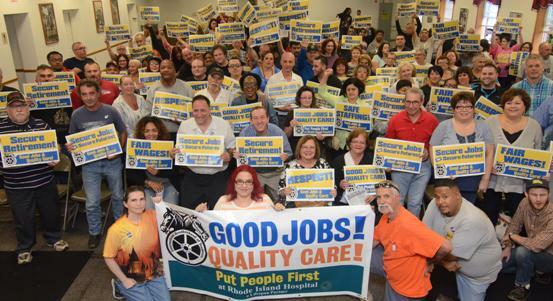 Rhode Island Hospital Teamsters united for a fair contract and our unity has paid off. Now we have a contract to vote on. Read a summary of the highlights of the new contract. Then come out this Saturday to get answers to your question and to cast your vote on the new agreement. We will have materials at the contract briefing so you can review all of the contract changes before you vote. Contract voting will be held on Saturday, March 28 at 8 a.m., noon, 4:30 p.m. and 8:00 p.m. Stay informed. Stay involved! Stay united! Come out and vote! The Union Bargaining Committee has reached a tentative agreement on a 4-year contract that delivers $19 million in improvements for Teamster members at Rhode Island Hospital. The latest contract bulletin summarizes some of the highlights of the proposed agreement. Members won all of these improvements and more because they stayed informed, involved and united. Every Teamster at Rhode Island Hospital has the right to vote on the contract and to review all of the contract changes before they vote. Local 251 will hold four contract briefings and contract votes on Saturday, March 28 at 8 a.m., noon, 4:30 p.m. and 8:00 p.m.
Voting will be held at the Union Hall on 121 Brightridge Avenue in East Providence. During the contract briefings we will review all of the contract changes and answer your questions. Voting will be held at the conclusion of each contract briefing. Members must attend a contract briefing to vote. We urge you and every member at the Hospital to attend the important contract briefings, to get answers to your questions, and to vote. Wage Increases: The contract delivers $1.80 in wage increases and an increase in the shift differential. Full-time employees will get a $225 bonus upon contract ratification; part-time employees will get a $110 bonus. Retirement Security: For the first time, your retirement will be guaranteed in the contract and protected from any cuts or changes. Lifespan will increase the money it puts into your Core Retirement Plan as your wages increase. Job Security: All employees who have three years of seniority cannot be laid off. Going forward, every employee will be protected from layoffs when they reach five years of seniority. Subcontracting Protection: If you have to bump into a new position because of subcontracting, your pay rate will be protected. Seniority Rights Under Epic: Members will retain all of their contract rights during the Epic implementation, including bumping rights and No Layoff protections. No Givebacks. In a sharp break with the past, the proposed contract makes no givebacks. We protected healthcare, longevity pay, double overtime, our rights under Epic and more. March 20, 2015: Teamster members at Rhode Island Hospital have mobilized and united for a fair contract. Now, our unity has paid off. Tonight, the Union Bargaining Committee reached a tentative agreement with Lifespan on a four-year contract that will deliver $19 million in improved wages and benefits to Teamsters at Lifespan. In a sharp break with the past, the proposed contract includes no concessions or givebacks. The tentative agreement was reached late Friday night after Lifespan negotiators gave in and agreed to major changes on pay increases, job security, and pay protection. The contract includes $1.80 in wage increases over the life of the contract and an increase in the shift differential. Full-time employees will get a $225 bonus upon contract ratification; part-time employees will get a $110 bonus. The new contract includes strong No Layoffs protections. All employees who have three years of seniority cannot be laid off. Going forward, all employees will be covered by the No Layoffs clause when they reach five years of seniority. We also won groundbreaking language that protects your pay if your job is subcontracted and you have to bump to a new position. Members at Rhode Island Hospital have won these gains and more by mobilizing and sticking together in a grassroots campaign for a fair contract. Together, we have built a stronger, more democratic, more transparent and more united union. We have forged new alliances with the community. We have found our voice and we will continue to speak out for good jobs and quality care. The proposed contract will be put to a vote of all Teamsters at Rhode Island Hospital. The date and times of the contract ratification vote will be announced soon. Stay tuned. Our union is on the move. I want to thank Local 251 members for stepping up and making it happen. We began the year by cutting officer pay by $300,000 and investing your dues money in the real source of our union’s power: the membership. We asked members to step up and get more involved in our union and you have answered the call. Winning Good Contracts: Members have gotten involved on Negotiating Committees and in contract campaigns. Our new approach to negotiations is paying off in contract wins. 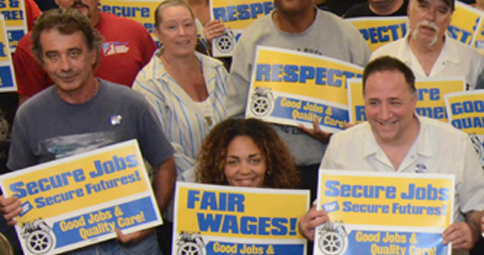 Enforcing Our Rights: Every Local 251 members now has the right to elect their shop steward. Stewards new and old have turned out for a series of workshops to share strategies for enforcing our contracts and defending our members. Building Unity: We are building unity and putting the old divisions behind us. Members have turned out for union rallies, picket lines and to raise money for good causes like pediatric cancer research. We’re building new alliances with unions and community groups like Jobs with Justice to help Teamsters and all workers win a better future. 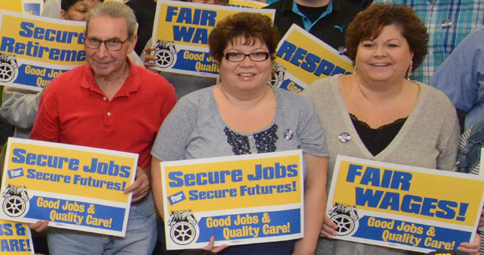 The Fall 2014 Teamsters Local 251 Report shares the news about what we’ve accomplished together so far this year. Some of our biggest work is ahead of us, including contract negotiations for close to 2,500 Teamsters at Rhode Island Hospital. As the issue is being mailed out to members, members at the Hospital are launching a contract campaign. We’re uniting Teamsters, other unions and the community to win good jobs, a fair contract and quality care for patients and their families. Local 251 members are showing the power Teamsters can have when we get involved and work together. United, we win! NEW Local 251 Report is in the Mail! The Fall 2014 issue of the Local 251 report is in the mail to members. Check out the report to read updates on the Rhode Island Hospital contract campaign and organizing victories at Woonsocket Housing Authority, Airgas, Petro, First Student, Fall River DPW, Cardi Ready Mix, PJ Keating, Twin River Casino, UPS and more. The Report includes reports on Local 251 events and info on applying for a Local 251 Scholarship award. Click here to download the full 16-page report.